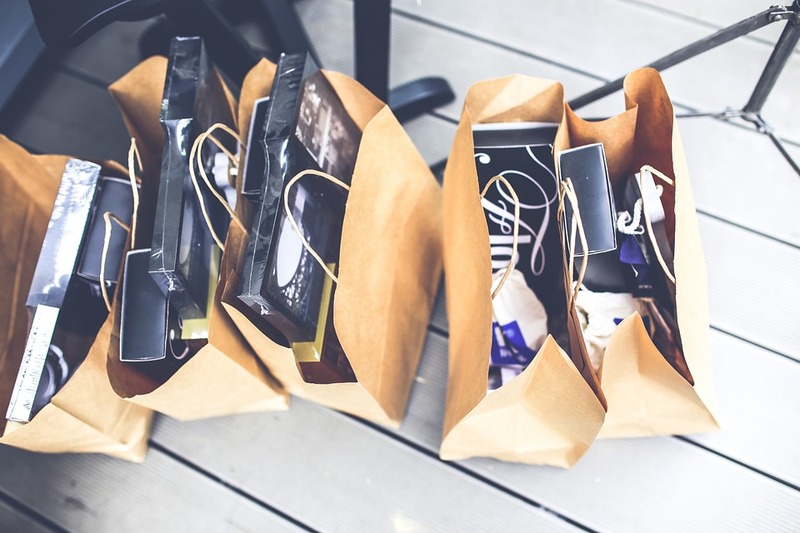 Who are Hedonic Shoppers and How to Engage Them and Extend the Relationship? A large number of retailers have experienced a shift in the marketplace. The retail marketplace, both online and offline retailers have experienced a massive change and it is no longer sufficient to entice the customers by providing low pricing, discounts, wide assortment of products, etc. More and more retailers as well as ‘Etailers’ are recognizing the need to make the shopping experience entertaining to overcome the immense competition. According to Baymard Institute, 67.89 percent shopping carts get abandoned. Most people believe that the shopping carts get abandoned due to poorly optimized carts or lengthy checkout processes, but you will be amazed to know there are many other reasons why shopping carts get abandoned. Moreover, the shopping cart abandonment rate increases due to the rise of a group of shoppers known as the ‘Hedonic Shoppers’. According to research performed to determine the types of shopping motivations, the shoppers can be divided into two categories – Utilitarian and Hedonic. Hedonic shopping is mostly driven by entertainment and emotion. Hedonic values of a shopper are more subjective and personal and they are motivated by fun or playfulness of shopping experiences. Utilitarian shopping is more goal-oriented and rational. Utilitarian shoppers are efficient shoppers who know what exactly they need. They are more concerned about meeting daily needs, seeking more variety, greater value, quality and looking for best prices. Hedonic shoppers are more impulsive than the utilitarian shoppers. Although it might seem that the hedonic shoppers spend more on shopping, as compared to the utilitarian shopper, the shopping cart abandonment rates are higher as well (in case of hedonic shopping). So it has become increasingly important for the online retailers to adapt to this shift in shopping habits and optimize the shopping experience to incorporate fun, entertainment, excitement elements to satisfy both utilitarian as well as the hedonic shoppers. For instance, Amazon is a great example of an online retailer that has diversified the shopping experience to satisfy both utilitarian and hedonic shoppers. Amazon is no longer focused on selling books only (utilitarian); it offers anything and everything a customer can look for (hedonic). Adventure shopping – Driven by stimulation and excitement. Gratification shopping – To enhance one’s mood. Social shopping – Offers pleasure of interacting with others. Idea shopping – To stay updated with the latest trends. 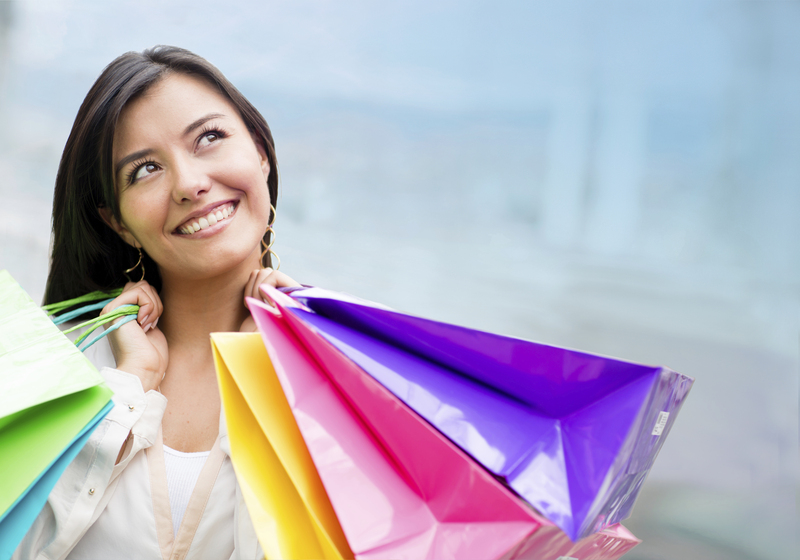 Role shopping – Offers pleasure from buying for others. Value shopping – Feel the excitement of finding deals (not necessarily make use of the deals found). The immediate thought would be – how do I know what the motives of my visitors are. Google analytics and other analytics tools provide us with lots of information about your customers and their behavior, but there is no data about their motivations. Why did a visitor come to your website, what exactly made them abandon the shopping cart or how you can influence the customer’s motives to help them complete the purchase cycle. You will have to get an idea of the motives by looking at the products you deal with. For instance, if you offer luxurious products such as jewelries or designer clothing, chances are a large portion of your audience has hedonic motives. One effective way to identify the motives is to create opinion polls or a short questionnaire. Remember the questions must be simple and to the point, otherwise your audience might abandon it as well. So do you have to live with the fact that people would come and abandon carts and there is nothing you can do? Not really! It is true that no matter how good your website is in terms of shopping experience and functionality, the hedonic shoppers can abandon the carts anytime, but you can do things to convert them into customers as well. 70 – 95 percent of the first-time visitors who abandon a page without performing a desired action (including those who abandon carts), do not give up the idea of returning to the website to perform the intended action. Again, 75 percent of customers who abandon the carts intend to return to the website to complete the purchase process – according to SeeWhy. As a matter of fact, about 11 – 29 percent of them return within 4 weeks. This means, there is a fair percentage of people among the cart abandoners, who can be converted into customers. But how? Keep reading to know more. Get a point of contact – e-mail address, social profile, etc. Get back to the hedonic audience to promote your products and services through triggered mails. Optimize the shopping experience to include more fun and entertaining elements. Now let’s get into the details of each strategy. So if you are not triggering e-mails to the cart abandoners, you are missing out on a lot of opportunities. By sending e-mails, you engage the hedonic shoppers and create a strong relationship with them. Tell them that you will do everything to make the shopping experience even more exciting, incorporate new ideas and improve the overall value of your website. Engagement that works wonders for utilitarian shoppers might not be enough to allure the hedonic shoppers. To allure this segment, you need to be more creative. To help marketers understand how to engage the hedonic shoppers better, let’s take a look at the six factors of customer engagement and then at the drivers for the various categories of hedonic motivations. Adventure shoppers are driven by the aesthetics of the website. Offer these people with a fun shopping experience to convert them into customers. By providing them with certain level of thrill, you can entice them to come back to your site. Gratification shoppers are driven by the aesthetics and felt involvement. Make the gratification shoppers feel better while they perform shopping and build a strong relationship with your customers to persuade them to come back to you again and again. Social shoppers are driven by the felt involvement. Creating a perfect set up for the social shoppers might be difficult, since these people love to be in company of their friends and family, but by engaging them in innovative ways, you can retain the social shoppers on your website. Idea shoppers get driven by novelty. In order to allure this segment of hedonic shoppers, you must ensure that the website is up-to-date with the latesttrends and keeps the visitors updated about the latest trends as well. Show your creative side to entice the idea shoppers. Role shoppers are driven by felt involvement. Value shoppers get driven by novelty and the felt involvement. This segment of people is perfect for e-mail campaigns. 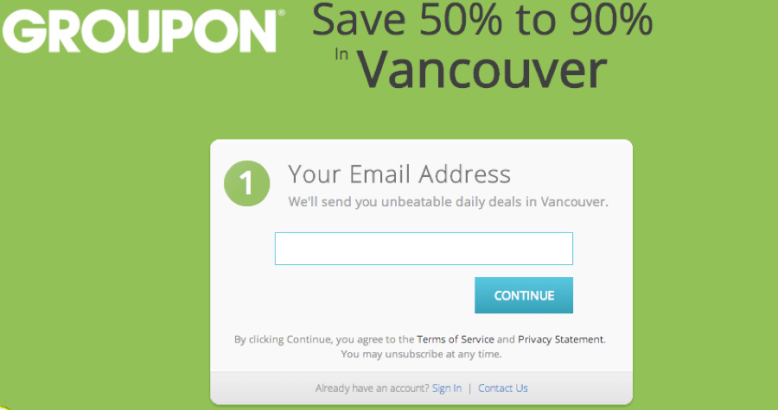 Take the example of Groupon. They created their websites to keep the value shoppers on their toe by promising to provide them with attractive deals every day. So create a strong e-mail strategy to win the hearts of the value shoppers. Create impressive landing pages: Build an impressive and optimized landing page that compels the visitors, both hedonic and utilitarian, to sign up by entering their e-mail addresses. A highly optimized sign-up form: Design a sign-up form that allures the visitors to subscribe by promising to offer value in return. Exit-intent Technology: This is an advanced technology that detects the mouse movement of a particular user to detect abandonment. The moment the user intends to abandon the cart, an exit overlay is activated that offers high-level engagement for the user, in order to hold them back. By engaging the hedonic shoppers and establishing a relation with them, you can increase the conversion rate and sales for your online store. However, this isn’t as easy as it sounds. You will have to put in a lot of effort to understand what the hedonic shoppers are exactly looking for and optimize the shopping experience accordingly. Shopping carts are not abandoned only due to poorly optimized shopping carts or check-out processes. Instead of frowning over the cart abandonment numbers, take each abandonment as a new opportunity. Create a list of cart abandoners, using the latest technologies like exit-intent technologies, landing pages, etc. to reach out to the hedonic audience and convert them into potential customers. Optimize your website to incorporate fun, excitement and entertainment to allure the hedonic shoppers. Try to offer the best possible engagement for your visitors. The shopping habits have changed drastically over the decade and it is necessary for the online retailers to adapt to this change to survive the immense competition. Remember, website visitors have different motives to visit your website that range from emotional to rational. So in order to entice visitors from all segments (utilitarian and hedonic), you must create a blend of user-friendliness, functionality and features that evoke emotions that persuade the customers to complete the purchase cycle. Thus, instead of trying to reduce the shopping cart abandonment rates, try to engage users and encourage them to buy products. 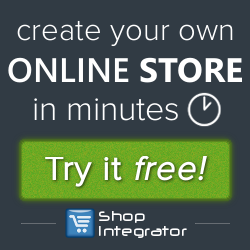 Want to improve the amount of traffic and the number of conversions of your eCommerce store? Who doesn’t? These are, after all, imperative to grow your revenue. But for that you need to utilize the most powerful weapon in your marketing arsenal, which, unfortunately, is often overlooked. Yes, we are talking about your Average Order Value (AOV). Average Order Value or AOV is a criterion used to compare your marketing campaigns’ efficiency. In addition, this key metric helps you understand the type of eCommerce customers you currently have. Using this metric you can understand how each traffic segment of your website is converting and where you need to improve to enhance your revenue. In short, it is your tool to create personalized marketing strategies for a better conversion rate. The benefits of increasing your Average Order Value are pretty obvious. To begin with, it helps you increase your cash flow really fast, which is obviously one of your basic goals. And that’s not all; there are several other benefits of working your way out to improve your AOV. For instance, you can simply increase your AOV by installing a plugin for your eCommerce shopping cart. In comparison, acquiring traffic not only has a significant cost attached to it but is also more difficult to achieve, thanks to the frequent search engine algorithm updates we are being subjected to these days. It may also happen that any of your traffic sources might disappear one fine day, leaving you clueless and dumbfound. If you have worked on your AOV and improved it, chances are you will be in a much better position, while reducing your marketing spend. Using this formula and a web analytics software like Google Analytics you can easily start optimizing your conversion rate. All you need to do is get the exact average order value from Google Analytics for each traffic source. Consider the numbers mentioned in Transactions and Revenue sections (under Acquisition -> All Traffic) and use the above mentioned formula to calculate the AOV. Now that you know how to calculate your AOV, it’s time to look at some of the tactics to increase your Average Order Value. More often than not, customers are only focused on what they are looking for. As a result, they overlook to browse your eCommerce store to find more. This, in turn, results in smaller carts, a.k.a. smaller Average Order Values. While you cannot change how customers will behave, there is a very simple solution to improve your average order values. Simply add product recommendations on your product and check out pages. If you don’t believe us, consider that Amazon has been using this trick for quite some time now. Its recommendations come in forms of “Frequently bought together,” “Customers who viewed/bought this item also viewed/bought,” “Frequently bought with the item you added” and so on. All that this eCommerce giant does is collect data about its visitors’ past shopping and browsing habits and combines that information with its algorithm and voila, it provides personalized product recommendations that buyers are most likely to purchase. Profiling popular products or products that your customers have previously browsed is perhaps one of the best ways to increase your Average Order Values. In addition, it helps in minimizing friction before checkout. Studies indicate that 2 to 5 percent of an eCommerce revenue is attributed to product recommendations. Better yet, this increased revenue can go up as high as 20 percent, depending on how effectively you pair up products. Similarly, showing your customers cross-selling options also helps you to improve your AOV. You can use such product recommendation tactics by using phrasing like “Complete the look” or “Get the look” on your eCommerce store and it works particularly well for fashion and apparel stores. It’s convenient for the customer and you can move your products without sounding pushy. In fact, you can use cross-selling for almost all type of eCommerce sites. All you need to do is recommend additional and/or complementary products. Got a customer purchasing a Windows 10 laptop! Why don’t you recommend a laptop bag to go with it? Another simple way to increase your Average Order Value is by utilizing cashback technique. In fact, cashback technique is quite a traditional tactic used by retailers to attract and retain customers. 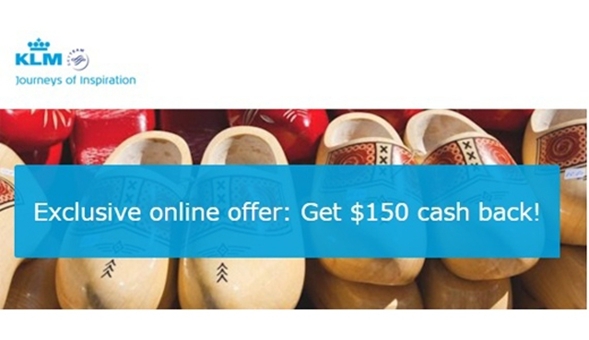 How many times have you seen eCommerce stores offering free vouchers on your next purchase? Quite some time; the Internet is filled with ads like “Spend $100 and get $20 cash-back on your next purchase.” All you need to do is spend a certain amount and you can redeem the voucher. This is a great way to increase your repeat purchases and Average Order Values per customer. But to leverage this tactic you need to first set a spending threshold, ideally slightly above your present average order amount. This will help you identify shoppers who qualify for a cash-back reward on their next purchase. Once this spending threshold is determined you need to format your offer and market it as aggressively as possible to increase its visibility. Display them front and center on your homepage as well as on other pages. The goal is to make your customers aware of the target number as clearly and vividly as possible while they shop so that they keep on adding products to their carts to make it to the cash-back minimum. Apart from displaying such offers on your webpage, you can even spread the words through SMS marketing. You can also offer cashback in other ways. For example, you can build partnerships with other companies to allow your customers to redeem the gift vouchers at several purchase points. This will further inspire buyers to reach the cash-back minimum. Another way to increase your site conversion is through “refer a friend and get cashback programs.” All your users need to do is refer a friend and get cashback in form of a gift voucher to be redeemed on their next purchase. Cashback technique works like a charm and generally outperforms any other promotional techniques when it comes to increasing your Average Order Value. Better yet, it even encourages return visits and helps you turn your one-time visitors into loyal fans. Along with the cashback technique, free delivery option (when bought item(s) over a particular amount) is a great way to increase your Average Order Value. Free delivery is something almost all customers expect when making an online purchase but providing free delivery is a major financial challenge for most retailers, especially if it is smaller AOV. Setting free delivery threshold is a great solution to this problem. Just like the cashback technique, you need to determine a spending threshold. For this, consider the average site spend first and how much the delivery costs you. Once you have the numbers, set an amount slightly above your current average order amount. Also, display the amount required to get free delivery on your product as well as checkout page to use this tactic effectively. According to ComScore, Free Shipping Day promotion can boost sales by 16 percent. Red Door, a data-driven marketing agency, also finds that NuFACE increased their orders by 90 percent by just adding a free shipping threshold. So what are you waiting for? Just dive in. A more contemporary technique, gamification can not only help you engage users but also make them buy more. McDonalds, for instance, used this tactic though in form of Monopoly Campaign UK to increase its Average Order Value. This technique works because of its meaningful structure and reward systems. Let’s see how McDonalds used it. McDonalds allows users to peel off a prize (stickers) from their meal, giving them an instant prize in form of a monopoly piece. This way, users can collect monopoly sets to win big prizes.It is quite obvious that the larger meals at McDonalds had more stickers on them, enticing people to spend on them. McDonalds achieved two things with their persuasive gamification technique. First, it increased their AOV and second, it increased the chances of a returning visit. You too can achieve a similar result with gamification; all you need to do is create an appealing system that exceeds your buyers’ expectations. Gamification is a great idea for customer retention as it helps you create a relationship with your buyers, making them come back to you time and again. While there are several ways to incorporate AOV strategies to improve your conversion rates, their effectiveness largely depends on your eCommerce solution. Most shopping cart systems include these basic AOV features and offer add-ons and plugins for them. However, if your eCommerce software fail to support them, you should better upgrade to a shopping cart solution that does. Using these simple, yet powerful tools is one of the best and most cost-effective ways to increase your AOV.